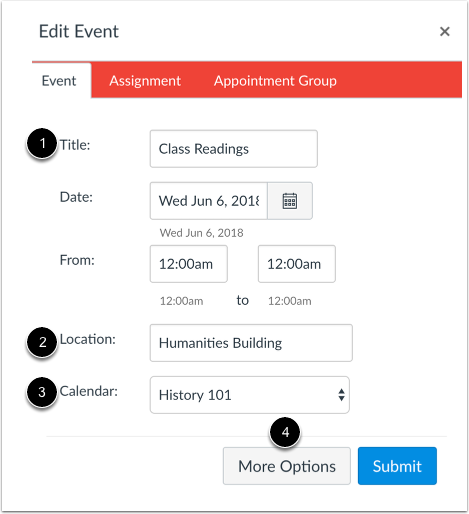 If your course has sections, you can set different event dates for each section in the Calendar. 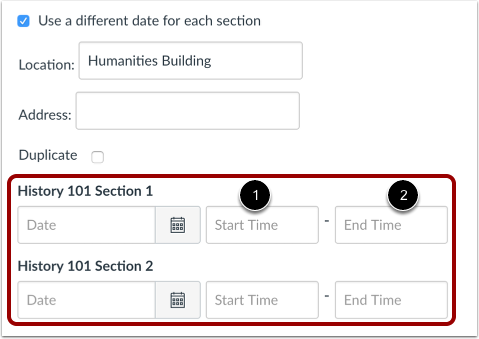 Note: You need to add sections to your course before you can set a different date for an event for each section. Add a title  and location  for the event. The date and time fields are automatically populated based on the current date but do not need to be removed. In the Calendar drop-down menu , select the course calendar for the event. Click the More Options button . Click the Use a different date for each section checkbox. 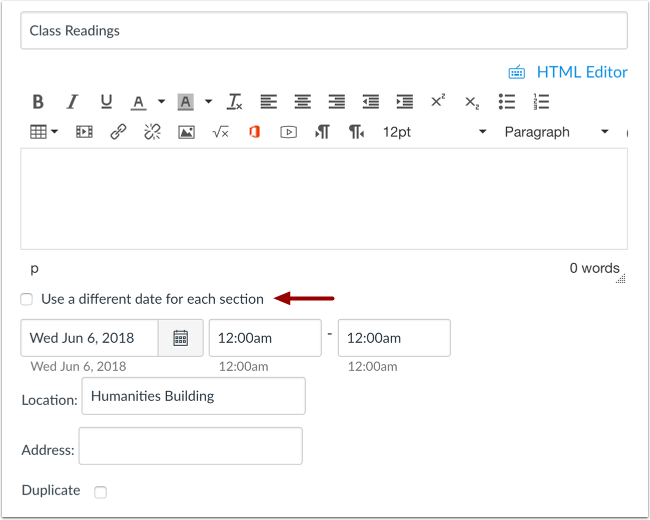 The default date is removed and replaced with all the sections in your course. For each section, type in a date, or select a date by clicking the Calendar icon , and specify the start and end time . If you don't want one section to see the event, leave the date and time fields blank. View the events in your course calendar. Each section will have a separate Calendar event. Previous Topic:How do I edit an event or assignment in the Calendar? Next Topic:How do I view the Calendar iCal feed to subscribe to an external calendar as an instructor? Table of Contents > Calendar > How do I set a different event date for each section in a course calendar?